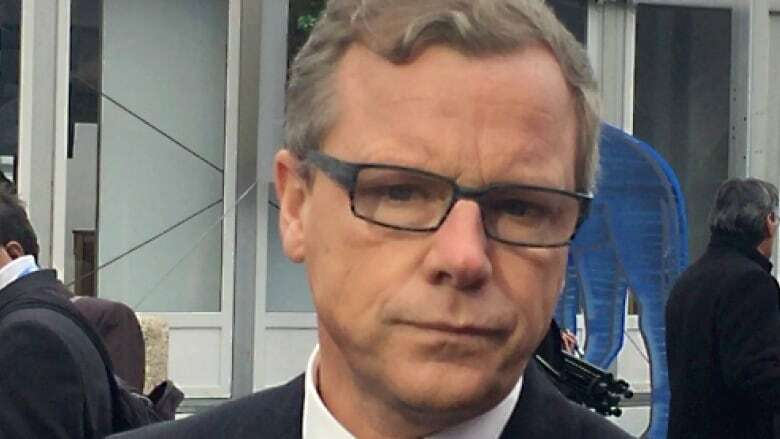 Saskatchewan's premier knows his province can do more to improve its environmental record, but he won't get swept up in the climate change talks in Paris this week. Saskatchewan's premier knows his province can do more to improve its environmental record, but he isn't getting swept up in the climate change talks in Paris this week. While several premiers and the prime minister are pledging to reduce greenhouse gases, Brad Wall is raising concerns about going too far and hurting an already fragile economy. "We need to be mindful of the economy. The Western Canadian economy is under significant stress," Wall told reporters at the United Nations climate conference in Paris. "Lots of talk about the environment, understandably, but not a lot of talk about the economy right now, and it's on the minds of a lot of Western Canadians." The oil and gas industry in Western Canada has lost more than 37,000 jobs since the oil price collapse in the summer of 2014. Wall is the lone dissenting voice among the Canadian delegation. He's also the most powerful voice for the Canadian oil industry. The Canadian Association of Petroleum Producers has representatives in Paris, but it is not a part of the delegation or at the main conference centre. Wall is hesitant to bring in a carbon tax in his province, worrying about the economic impact it might have. There is a suggestion that introducing new carbon policies in Canada could help the oil industry gain public and political support to build new pipelines, but Wall says there is no guarantee. "It would be frustrating if you're in the energy industry and think we get it, we have to pay a carbon tax, we need to do more by the environment," said Wall. "Now we can't even move our product, because we can't seem to build national support for a pipeline. So, I think that's a concern." Instead, Saskatchewan will be implementing something Alberta is replacing: a carbon levy. It will be placed on heavy emitters, with all of the money going into innovation fund to help industry research new technology. Alberta's levy was widely criticized as being too ineffective at motivating companies to cut their emissions. Last week, SaskPower announced plans to have 50 per cent of Saskatchewan's power come from renewable energy by 2030. The Crown corporation will be showcasing its carbon capture and storage project during a presentation at the United Nations conference. After the climate talks in Paris, Prime Minister Justin Trudeau is pledging to work with the provinces to come up with a strategy to reduce Canada's emissions. Wall will be at the table, but he may be a combative player. "The federal government has been duly elected and made this a priority, so we will work wherever we can with them," he said in Paris. "But I have a job to my voters, too, and my economy, so we'll be standing up to protect Saskatchewan's interests as well."